Today was the South West Women’s Race Day held at Westpoint Showground, Exeter. A three stage race consisting of an individual points, elimination, scratch race & supporting 4th category race. 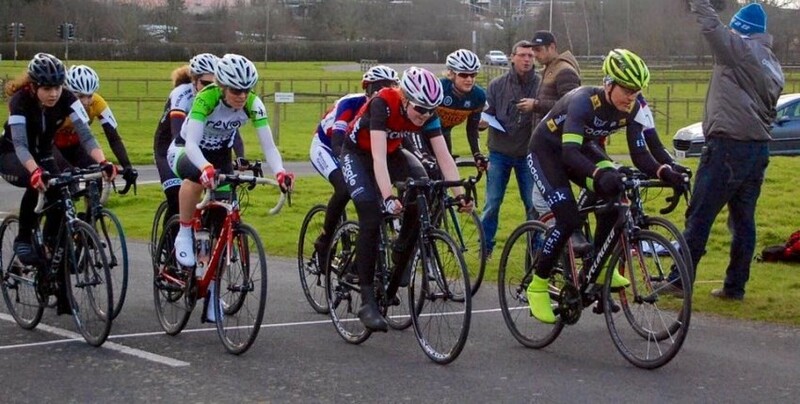 Revo Racing was represented for the first time this year with Sue Williams taking part in her first criterium within a field of 40+ riders in the 4th Category. Sue put in a superb effort throughout the race and dug deep to come out of the bunch sprint in 5th place.